Will the "Washington Privacy Act" be the aftershock to the CCPA's seismic shift? California has been getting most of the attention lately for the California Consumer Privacy Act, but Washington may be following closely behind with its own bold new privacy statute. 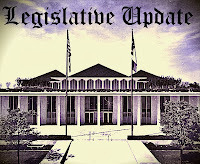 Senate Bill 5376 has been approved by the state's Senate and is currently before the House (in the Environment, Energy & Technology Committee as of the date of this post). The current version can be viewed here. Jurisdiction resembles the CCPA. It applies to entities that conduct business in Washington or intentionally target residents if they (a) processes personal data of 100,000 consumers; or(b) derives over fifty percent of gross revenue from the sale of personal data and process personal data of 25,000 consumers. The controller/processor paradigm is clearly set out, reflecting the influence of HIPAA and international laws. Controllers and processors share liability under a "comparative fault" framework. Access, correction, and deletion rights are all specifically conferred (not unlike CCPA and GDPR). These are each subject to "verification" of the request. Consumers have a right to information regarding a controller's sharing of their data (by category) with processors, and processors must cooperate with controllers to fulfill opt-out, correction, and deletion requests from consumers. Consumers are given the specific right to opt out of "targeted advertising" by controllers, and third-party processors must honor the request. Consumer requests should be fulfilled within 30 days, but the timeline can be extended by 60 days if necessary. Risk assessments (similar to privacy impact assessments) are mandated for all new processing of personal information or material changes. This is not limited to processing of sensitive data. If the risks are substantial, consumer consent is required. The AG may inspect risk assessments, but otherwise they are confidential. There are healthcare carve-outs; it doesn't appear to be intended to overlap with HIPAA. The use of facial recognition (a) for decision-making with "significant effects" or (b) by the government is specifically restricted. There is no private right of action created by the statute. The AG will enforce the statute, but there is a 30 day cure period. An "office of privacy and data protection" is created, and (all of) the civil penalties extracted from violators by the AG will be used to fund it. The statute would become effective July 1, 2021. Stay tuned! 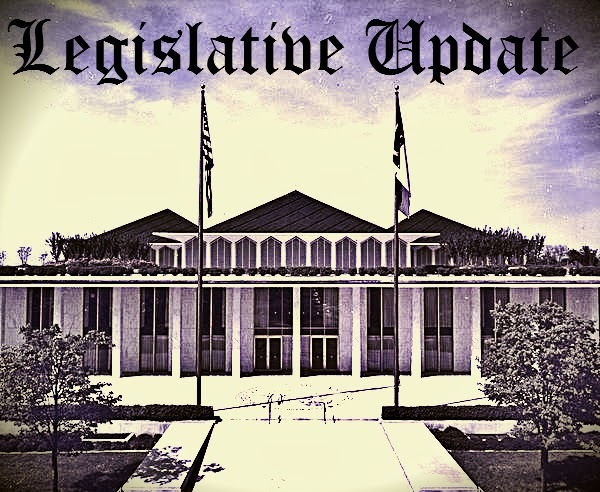 Business North Carolina has released the 2019 "Legal Elite"
The start of a new year brings many opportunities to improve ourselves, but it is also a time to reflect on the accomplishments of the prior year. Each January, Business North Carolina releases the results of its annual survey of lawyers. The survey asks one simple question: "Of the Tar Heel lawyers whose work you have observed firsthand, whom would you rate among the current best in these categories?" (Lawyers are never allowed to vote for themselves.) This year, I was included among the 22 honorees in the "Corporate" law category, along with some incredibly talented and accomplished lawyers. I want to thank all of the lawyers across the state who took the time to vote. Your confidence is humbling (and inspires me to be a better lawyer to meet your estimation!). I hope each of you find meaning and purpose in your work in 2019 and that your efforts are rewarded with great success! Each of them will be publicly recognized at the NC State Bar Specialization Annual Meeting in April 2019. I appreciate each of them for believing in this concept, contributing their considerable intellects, and dedicating significant time to the effort. I also want to thank Alice Neece Mine, Denise Mullen, Brian Oten, and Lanice Heidbrink at the North Carolina State Bar for their tireless work on this project. When I first discussed the concept with Alice and Denise in the summer of 2016, no bar in the nation had ever contemplated the idea, and it took vision for them to see the potential. 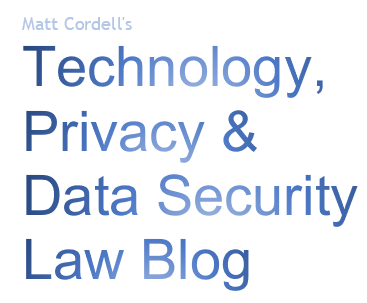 Shortly after we embarked on this effort in North Carolina, the American Bar Association also recognized the need for a specialization in privacy and data security law, and the ABA was able to move more quickly than we were. As best I can tell, Alex Pearce of Ellis and Winters (formerly the chief privacy counsel at SAS), Patrick Brown of Lawyers Mutual Insurance, and I are the only three ABA-certified lawyers in North Carolina, and Alex and I are currently the only lawyers in the nation who are certified by both state and national bodies. I expect more to join our ranks soon as lawyers and bars across the nation continue to recognize this unique practice area. 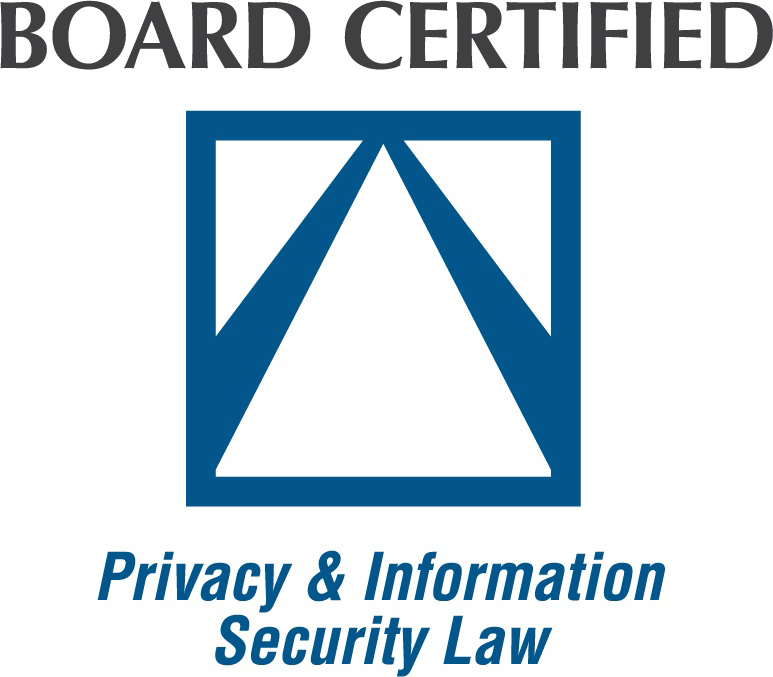 You can learn more about the Privacy and Data Security Law Specialization Certification process here, here, and here. You can read about the ABA/IAPP specialization here, and about tests that both state and national bodies rely upon, in part, from the International Association of Privacy Professionals here and here.